This Kichler Piper oval 6 light island chandelier pendant in espresso finish with glass rods and drops boasts modern feminine style and graceful good looks. Featuring a circular ceiling mount, rod suspension and oval frame housing the lamp bulbs, with an outer rim of espresso finish hanging metal rods tipped with delicate glass drops. Linear clear glass rods feature in between each of the metal rods to create a wonderful sparkling light. The Piper mixes modern style and feminine grace by the use of delicate glass accents and rich espresso finish. This distinctive design makes an eye-catching focal point in any room with sufficient ceiling height and supplies stunning illumination that reflects beautifully through the glass beads. 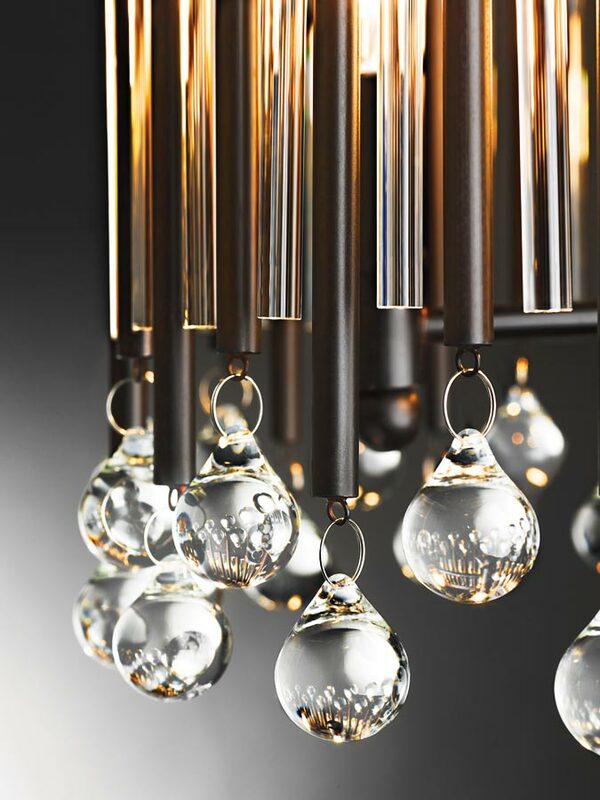 Ideal as an island chandelier over a dining table, in a hallway, bedroom or living room. Supplied with two 25cm and two 30cm rods that can be used in any combination to achieve the perfect drop; please see the technical information for exact dimensions. A truly magnificent feature addition that complements any style of interior. There are matching fittings in the Piper lighting collection that includes a long drop eighteen-light stairwell chandelier, a six-light pendant chandelier, semi-flush mount and wall light; please see below to view the complete range. This stunning light is supplied by Elstead Lighting and designed in the USA by Feiss, founded in New York in 1955. 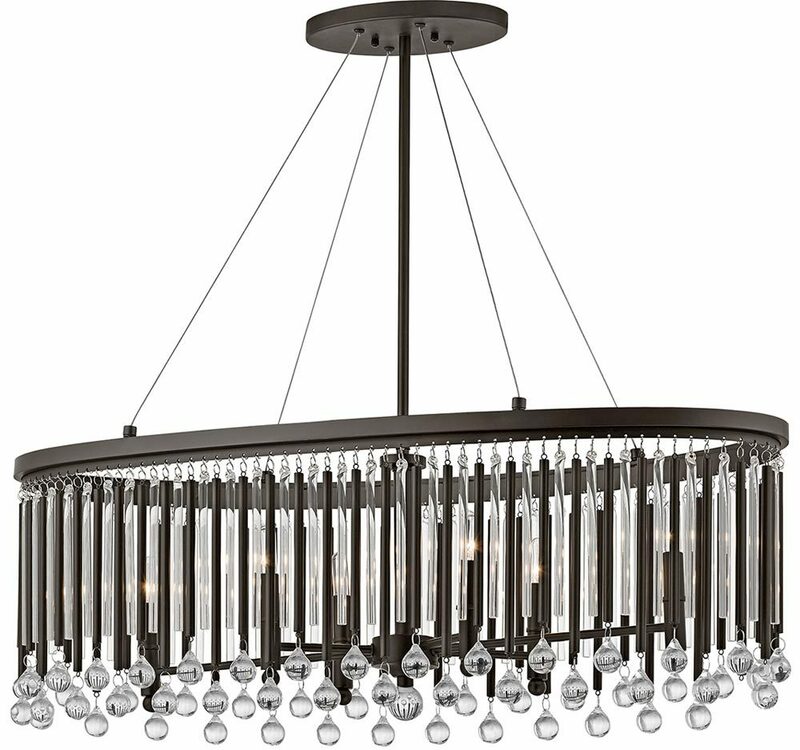 They have become well known over the years for their contemporary yet classic styling, quality and great original designs like the Piper oval 6 light island chandelier pendant in espresso finish with glass rods and drops you see here.